Strikeforce director of communications, Mike Afromowitz, has confirmed that Jorge “Gamebred” Masvidal signed a six-fight, two-year contract with the promotion. Coming from a unanimous decision loss against Paul Daley at Shark Fights 13, Masvidal will be dropping back from 170 pounds to 155. The 25-year-old fighter has bounced around many organizations, including Shark Fights, ASTRA, G-Force Fights, Sengoku and Bellator. Being one of the favorites to make it to the Bellator finals, Gamebred’s run ended prematurely. 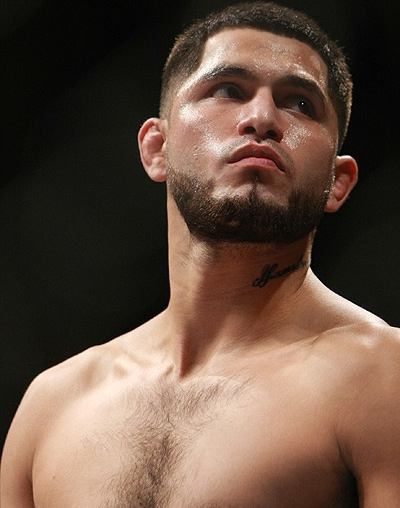 Under the Strikeforce banner, Masvidal has a 2-0 record with his last victory over Ryan Healy last February 2008. Though no words yet on when he is expected to debut in the organization, Masvidal is keen to take on the big names in the lightweight. If you’ll be given a chance to match-make Masvidal to other lightweight contenders in the promotion, who should he defeat first?